The award-winning Estilo Clothing was established in 1992 and has gone from strength-strength over the past 18-years. Estilo Clothing is a large independent brand retailer and has three branches – two in Birmingham and one in Wolverhampton. For the past four consecutive years, we have the title of best independent retailer of the year. We also won best visual shop in 2008 and 2009. Estilo had a clear strategy for sourcing the right fashion products at the right time. Sixty4 had to provide Estilo with an ecommerce website / platform that would allow them to quickly and effectively take these products to market. We consulted with Estilo on the design, and look and feel they wanted to create, identifying the competition and how we could push Estilo Clothing to the market. 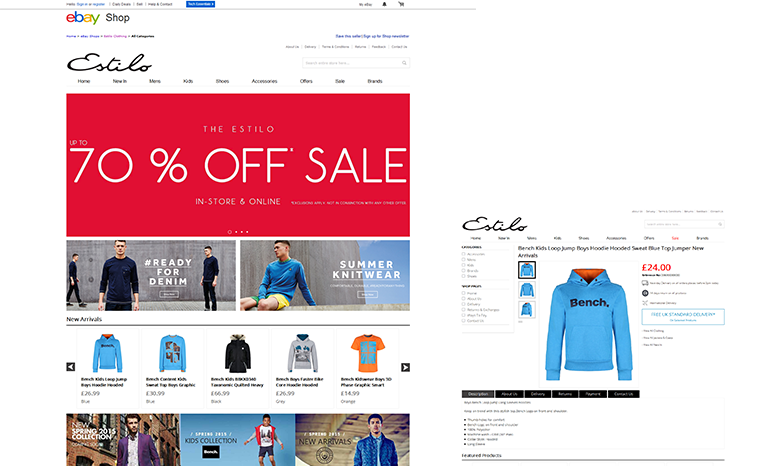 We also identified a number of features, working collaboratively with Estilo that would help increase traffic, conversions and revenue growth. StoreFeeder is an intuitive and feature rich hosted multi-channel ecommerce software solution. 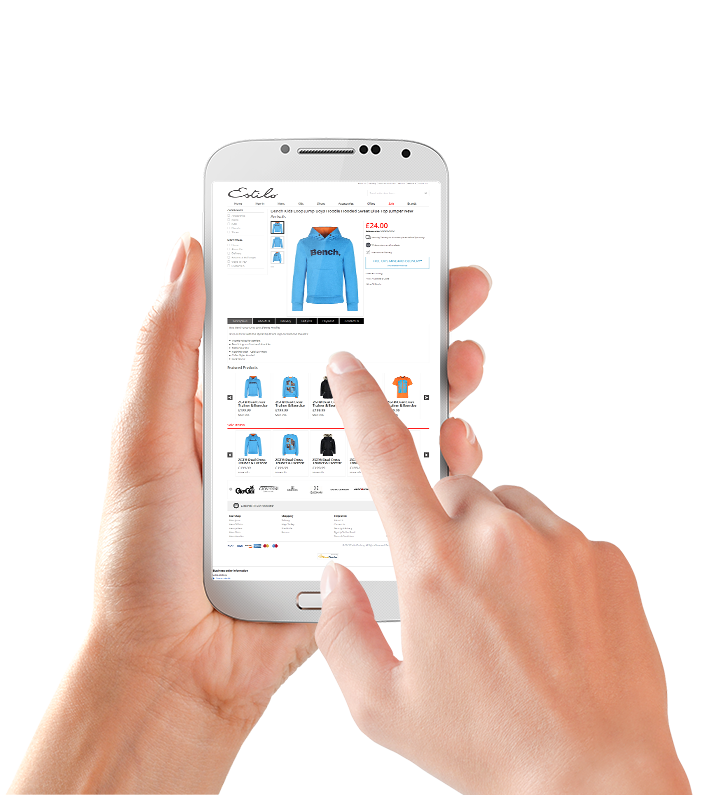 It enables retailers to integrate with all the major sales channels including eBay, Amazon, Play, online stores and many more. StoreFeeder allows users to manage and automate their ecommerce operation from one single interface. 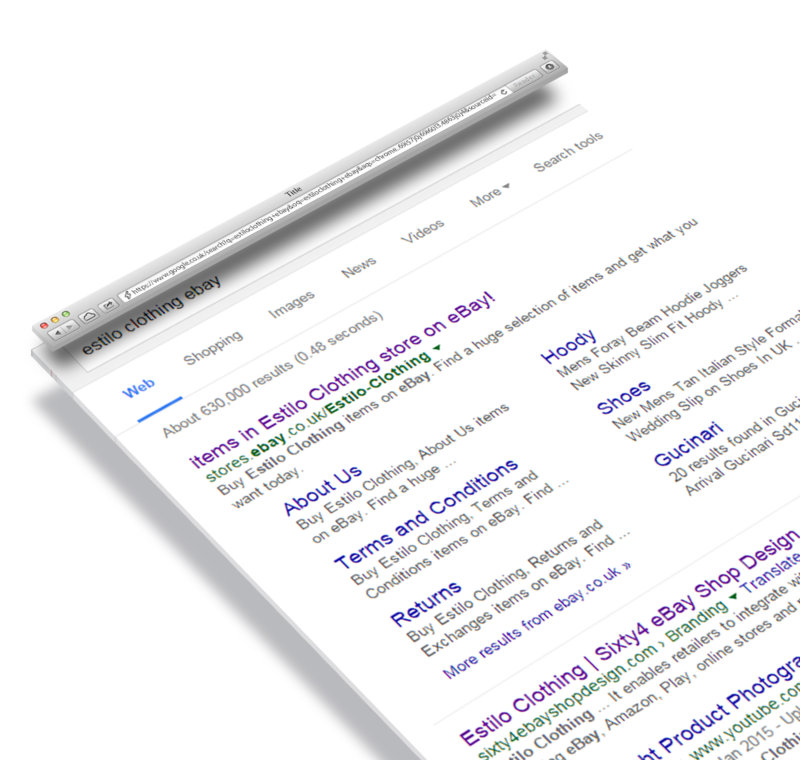 Estilo mobile responsive eBay design mad his sales grow higher and higher. Our designs are fully responsive in real sense giving clear cut information to your customer about the products. The designs and color themes of our eBay mobile listing template reflects the exact brand of your business. Estilo’s listing page specially designed for online computer, electronics, mobile etc. shops to provide better ecommerce prospectus to your customers. The very unique features of this template are its catchy color combination and user friendly features perfectly embedded to attract online buyers. You don’t have to struggle to grab your visitor. 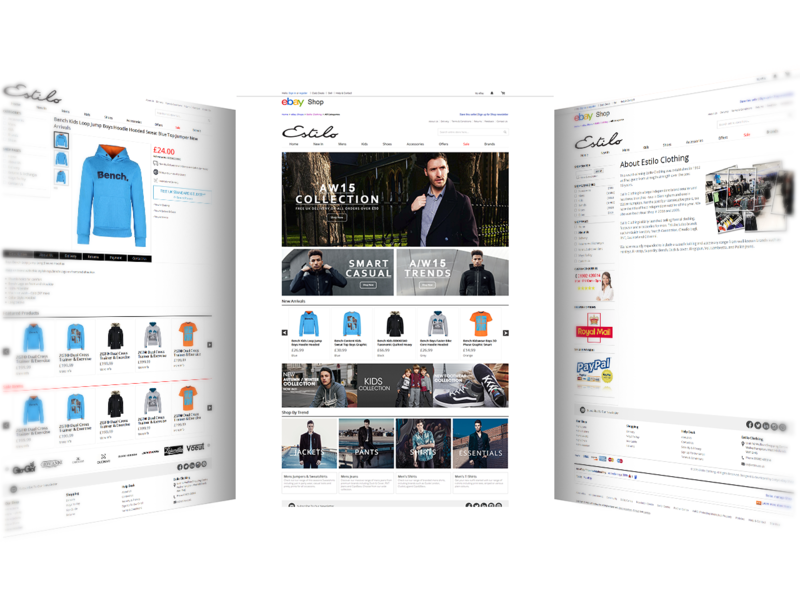 Estilo are one of the fastest growing online Men’s fashion web sites in the UK, and having had massive success and growth since launching with sixty4 we are not surprised by the recognition Estilo Clothing now receive. Estilo has grown exponentially year on year, and is set to continue this with further investment into the ebay store and ecommerce platform.